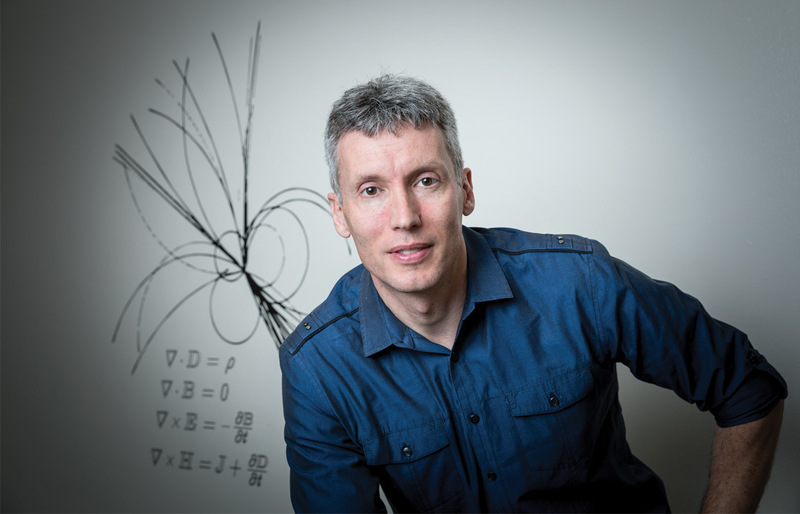 Physics and Astronomy Professor Peter Beyersdorf’s work as a member of the Laser Interferometer Gravitational-Wave Observatory (LIGO) collaboration helps test Einstein’s theory of general relativity. In 2015, his research contributed to a major discovery: LIGO scientists detected gravitational waves for the first time, capturing the collision of two massive black holes that occurred more than 1.4 million years ago. The sound was captured on two of the world’s largest vacuum chambers in eight-kilometer-long buildings separated by 3,000 miles—chirps that occurred before humans existed to ponder their meaning. A faculty member at San Jose State since 1995, Beyersdorf and his students have built interferometers, machines that use light to measure distance, and have done scientific monitoring at the detector sites. Why does listening to the universe matter? Beyersdorf says that every new discovery brings scientists one step closer to challenging the unknown. He does not know how his students will apply their understanding of physics to the world around them—and that is exactly what inspires him to teach. He pushes his students to ask the big questions that push scientific inquiry forward. “This is the type of research that lets us address some really fundamental questions about the universe,” he says. Questions such as: How can scientists gather data to test the universe’s limits? And which tools can help? Beyersdorf believes that the universe may be vast, but the opportunities to study it better are plentiful.